Enjoy luxury villa accommodations with the comforts and services of a full-service resort – in world famous Harbour Island, Bahamas! The best of all worlds. The Sapodilla House is a historic stone building which has been transformed into a stylish six-bedroom, four-bathroom cottage ideal for up to 12 guests. This beautiful home is part of Valentines Residences Resort and Marina and right on Bay Street with its interesting stores, art galleries, markets, and many world class Harbour Island restaurants. Elegantly adorned with fine furnishings, state of the art electronics, and lush tropical greenery, the Sapodilla House at Valentines is a welcome addition to Caribbean luxury villas. Spacious open-concept layout and several openings to the five terraces and balconies ensure fresh ocean breeze flows freely throughout the interior space. On the private terraces, you’ll find alfresco dining for up to 16 people and comfortable outdoor living areas to sit and enjoy amazing Harbour Island views. Back inside, there’s formal dining for eight, a full kitchen, and games room. 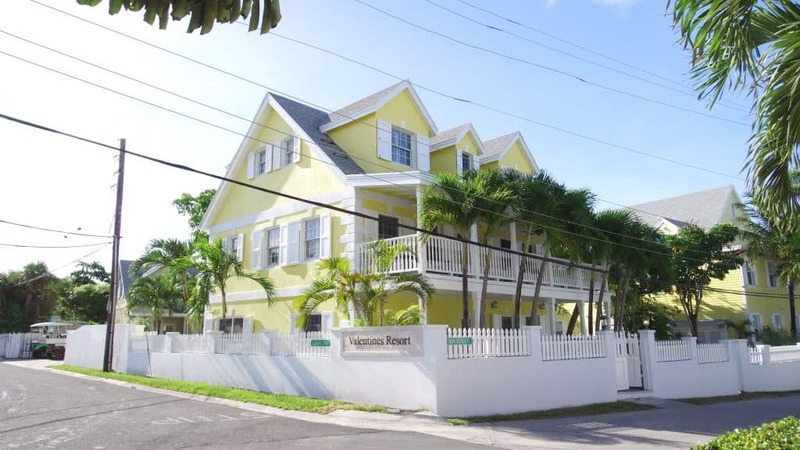 The Sapodilla House is conveniently located near Valentines section of Harbour Island’s world famous Pink Sand Beach. Rentals for water sports, diving & snorkeling are located next to the resort. You can even visit nearby Bahamas famous swimming pigs. In addition to affordable prices for groups, there’s also the bonus of a casual atmosphere, new friends, and discovering out-of-the-way places and adventures. Butler and chef are available as well as pre-arrival grocery shopping – please call for pricing. For inquiries and reservations, please call 1 (866) 389-6864 or email reservations@valentinesresort.com. For more information, visit https://www.valentinesresort.com/resort/sapodilla. 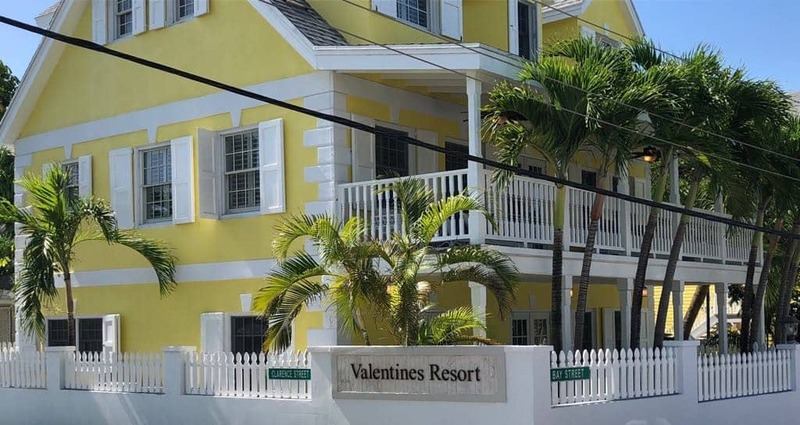 Recently named the “Best Small Hotel in the Caribbean” by Caribbean Journal, Valentines Residences Resort and Marina is a 39 room luxury resort in the heart of Harbour Island in The Bahamas. The 4.5-acre resort is just steps away from the island’s world-famous pink sands beach and home to a variety of amenities including Valentines’ Dive Center, Dermalogica Skin Center and Spa, Cocoa Coffee Shop, Calico’s Retail Shop, a well-equipped fitness center, state-of-the-art conference boardroom, and both indoor and outdoor dining at The Rooster Tail Bar and the Boathouse Restaurant. Valentine Admin	August 9, 2018 0 Com.